Bundle Stars has started a new bundle since yesterday, want to know what it is and to see a surprise? Only a few hours left til’Bundle Stars “Fully Loaded Bundle” to end, it consists of ten explosive, new-to-bundle Steam Games and it’s only for $4.99! So what can you get on this awesome bundle? All of those for only $4.99, so what are you waiting for? Grab a bundle now! Because you read the whole article up to here, we’ll tell you the surprise. 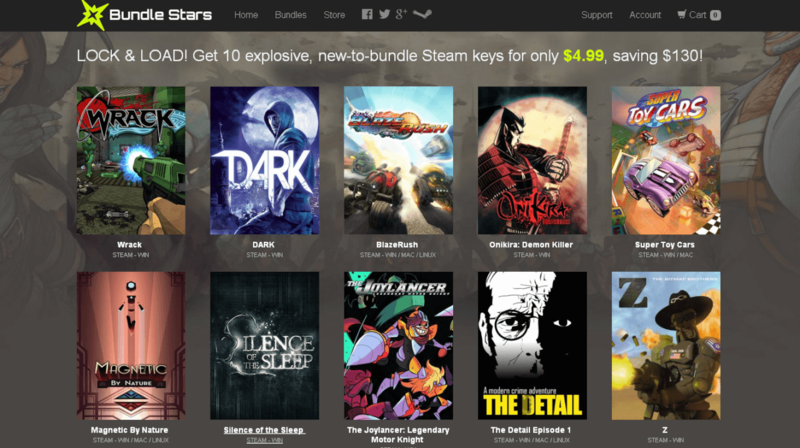 Bundle Stars just partnered up with PCGamer to host a $500 Steam Wallet Giveaway for this weekend only. They’ll be giving away $500 Steam Wallet to two lucky winners while ten runner-ups would win the “Fully Loaded Bundle”. To enter, just visit this link and scroll down till you see a rafflecopter giveaway box. That’s all for today! See you on the next one and goodluck!